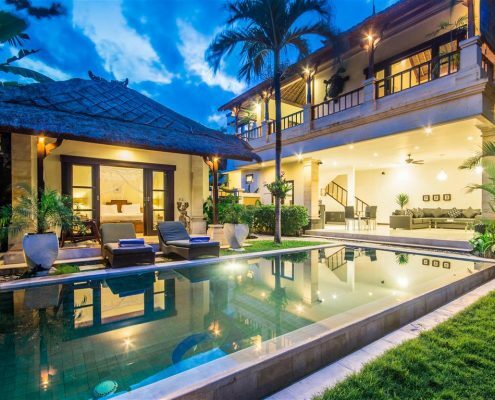 If you’re looking for a 2 bedroom villa Seminyak with immeasurable elegance and comfort, Villa Bugis is the only option for your holiday in Bali. 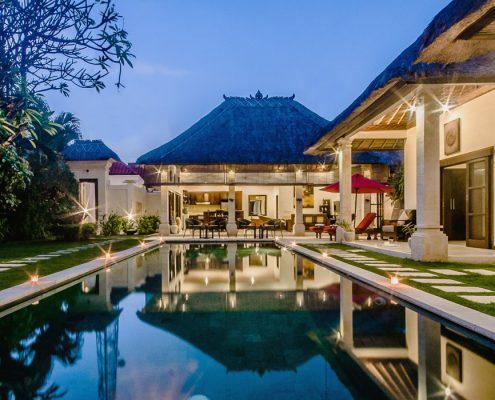 Bali is an island oasis at the southern end of Indonesia, with wide stretched beaches and pristine shorelines facing the balmy, Indian ocean, and Villa Bugis offers you one of the largest range of 2 bedroom Seminyak villas. With over ten years’ experience in quality Villa rentals, your relaxation and comfort whilst you’re in paradise will be certain. With the Balinese hospitable and courteous nature, your every need will be taken care of whilst you are immersed with iconic and laid back culture. Each 2 bedroom villa is an impressive home away from home, with each one tastefully decorated with quality furnishings and refined ambiance. 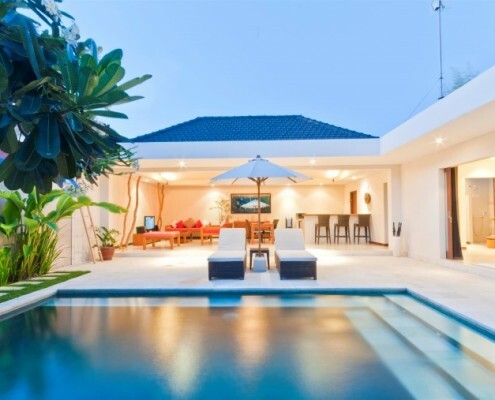 Unwind in your lush and tropical private garden and pool or laze the afternoon away in your expansive living area. There’s even a fully equipped kitchen with which you could prepare meals yourself or let our staff cook a special Balinese meal. Try a relaxing yoga class amongst the plush lawns or take a day journey to the temples. Or you could spend the whole day by the pool, while our friendly staff assist with graciousness to your every need. 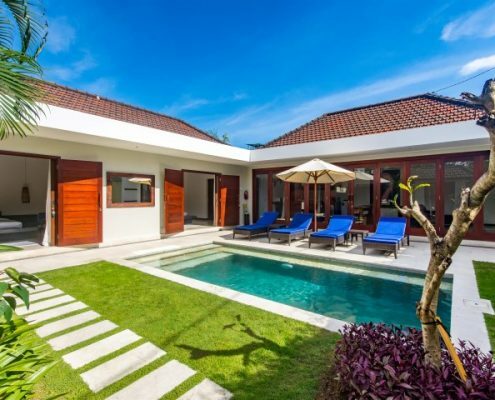 Take some time out from the busy life and escape to Villa Bugis, where you can loosen up and feel right at home, in one of our pristine and gorgeous 2 bedroom Seminyak villas. • Has a connecting room - perfect for family!